Only the possibility that the England national team will be battered in the European Nations Cup can stop the movie being made. The characters are irresistible, the tale is heartwarming and the climax fabulous. There is also something that the experts call a narrative ark and last week all suddenly became available to the aspiring scriptwriter. First, there is Milan Mandaric, a billionaire who has lived in exceptional comfort in the Western World since 1969 but who resembles the tortured character Ivan Denisovich Shukov in the novel by Solyzhenitsn. The suit may be expensive but his face has wrinkles that qualify as contours and there is a remote expression that insists upon an absence of comfort. 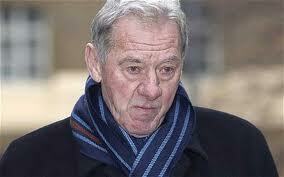 Mandaric looks as if he is on a weekend break from a Gulag. He is an emaciated version of the chess playing wrestler in the Stanley Kubrick movie, ‘The Killing’. This Russian bore, who was not one of Kubrick’s better moments, spent most of his time quoting third rate know all philosophy. The doleful perplexed eyes of Mandaric threaten equally awful dialogue. Next we have Fab Fabio Capello, the man who resigned from the job of England manager while Harry was simultaneously escaping being sent to prison. Even his friends would struggle to describe this chap as handsome. A man who looks like Desperate Dan after a lobotomy must have really struggled for admiring looks in Turin, a city known for more exacting physical standards than those encountered by Mandaric in Portsmouth. At the beginning, Capello was actually popular with the English press. 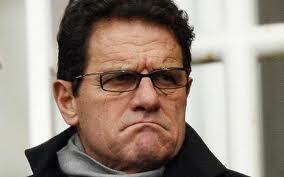 They discovered Capello, when he was not sticking his sausages upright in his mashed potato, collected fine art. ‘Look, he is intelligent,’ cried the English football writers. They made the same mistake with Sven Goran Erikkson. They assumed he had brains because he wore glasses and was Swedish. ‘He has to be, doesn’t he?’ they said. Finally, amongst our charismatic icons we have ‘our ‘Arry’. 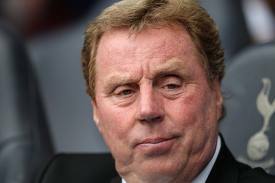 Surely, the England football team has to be successful with a manager called Harry. And there are precedents, as the French can testify from the last time they argued with one of our Harrys. Everyone is agreed that this Harry has a way with people and it can be seen in his face. He uses half a dozen expressions in a millisecond. Harry says hello in the way most of us have a conversation. It is the most active face in football and it makes you wonder if he is using an alternative to skin, some kind of synthesised rubber. There is also the mystery of why the handsome son, Jamie, can look so much like his father and yet be so much better looking. Maybe this is the existential mystery that haunts Mandaric so much. Better than our screen gods, though, is the tale itself. This is a heartwarming, no, we must not be modest, this is a supreme story about kinship between men separated by background, (Harry originally wanted to be a second hand car salesman and honest I am not laughing), culture, country, wealth (but not for long if Harry can help it) and language. The last barrier was eventually bridged by Mandaric helping Harry with his English. The two men became so close, Milan lent Harry £157,000. We will never know if Harry accepted the money with tears in his eyes but in the movie tears will be mandatory. Harry needed this money quickly which was why his spiritual partner responded with a selfless rescue. 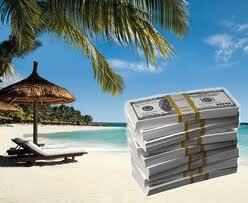 The money was put where it would be safe, somewhere that they call a tax haven. Unfortunately, not everyone understands kinship and mutual devotion. There is an organisation called the HMRC. This attracts obsessed zealots who, when they are not ignoring £20.5 billion of unpaid tax, ruthlessly persecute innocent individuals. These innocents sometimes put money that they know is not taxable into an account where the holder does not have to pay tax. I know, I can hear the odd mind beginning to whirr as I type. If it’s not taxable why would …..? Shame on you. This is a tale about kinship and spiritual unity. Then, we had the climax. The last twenty four hours were told breathlessly by newscasters. Harry was set free and Capello refused to manage the England team any longer. ‘No, I’m not running away because the English team is rubbish.’ And he probably was not. He missed his fine arts and he was well disillusioned with the modern English sausage. Capello will receive a £1.5m pay off which is not bad for supervising the most abject World Cup performance by an England team. He was actually paid £6m a year which is an awful lot of gourmet sausages and a truly incredible amount of mashed potato. Fortunately, Fabio works hard for his £6m. The FA released a film of a recent training session. Fabio can be seen clearly in the video. He stands and watches. All right, watching does not sound a lot but to paraphrase an old joke, it’s a dark and lonely business and somebody has to do it. Meanhile, the FA is thinking and until the media confirm Harry has the job the media will fret. Some have suggested Harry plays himself in the movie. They quote the advert for the Wii game when the least greedy person on the planet was paid to make a fool of himself and his family. Harry is versatile. He does not just do dignity. The word innocent has been used a lot this week. Innocent was how Elaine Dunphy described Elvis. His openness and innocence were what made him unique she claimed. 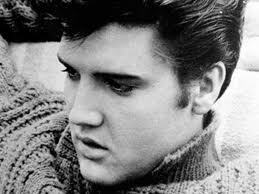 Perhaps Harry and Elvis have openness in common and, although he was a victim, Elvis could on occasions be a rogue. But Elvis paid his 90% tax and he never had one scheme to avoid paying tax. Not one cent of his fortune left the country and none of those around him gave Elvis gifts. Neither did they acknowledge his vulnerability. Greed consumed them all. Harry has had a second chance and needs to take it. I am not talking about the England job or the money. Everyone deserves a second chance, Capello actually coud have been described as handsome in his younger playing days, Milan Mandaric must have been through a lot of stress in his lifetime to look that way. It’s quite normal for African public officials to stash their ill gotten weath in foreign banks so not even the the tax gets back. Love it, the accompanying photos are inspired. 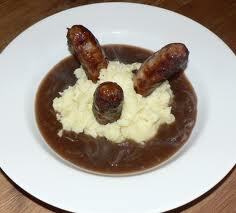 It has put me off bangers and mash, though! Thanks for the comments. Capello was handsome in his younger playing days? Maybe. We were all young once and you know what they say – the older we get the better we were.